Cheap yet durable, this Oliver James Pocket Blanket comes at a large size and can also be used as a beach blanket. Even though the portability factor of this model isn’t as high as the other ones in our review, it is still worth taking a look at because of its extra low price. Camping, the term itself is enough to imbue a peaceful state of mind. Most people eagerly wait for a break to spend some time with their closed ones, doing camping or hiking. Not only is this activity fun and recreational, but it’s also a medicine for the soul to heal. A recreational outdoor activity such as this can involve many things that may require you to invest in proper gear. This is where I can help you choose the best staff needed to get started. Looking at the list of products you need to go for camping, you need every item you use daily. It means that you need to put together your own tent for the time you are going to spend there. Among the necessities needed, a blanket has to be on the list as it can protect you against from many external forces including insects, and bad weather. But due to its huge size, it is going to take more space in your rucksack. If you are looking for a solution to overcome this problem, then Oliver James ﻿Lightweight﻿ Blanket is the one you are looking for. This product works more like your conventional blanket, which means that this product helps you to prevent from windy days and serving as a mat for you to sit on, but the benefit lies in its portability. It means that this comes in the size of your palm and can be folded into a small pouch. 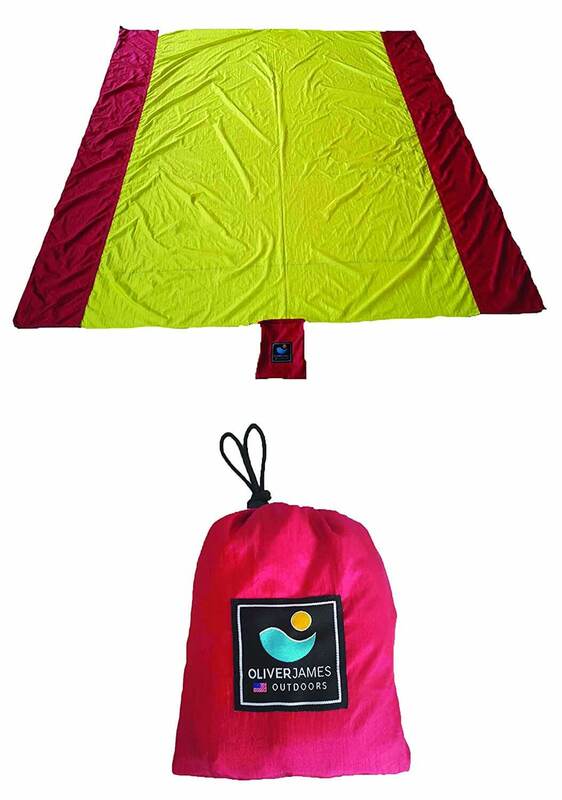 Size: The Oliver James Lightweight Beach Blanket is a very familiar product and there is no need to introduce this product to customers who travel a lot. It gained much significance mainly due to the feature of portable size. The blanket comes with a pouch size of 7" x 5", which means it is easy to carry this product with you all the time. When unfolded, the size of this blanket goes up to 7 feet x 6 feet (210 cm x 190 cm), which means it can easily accommodate 2 to 4 people to sit and relax. And can comfortably accommodate 2 people to lay back. Material: Oliver James Blanket is made up of parachute nylon fabric material, which is responsible for the lightness of product. The company states that their product is super compact and ultra-light in weight. They also state that because of the key ingredient used in the manufacture, this product gained high durability. Durability: The company states that the Oliver James Beach Blanket is not water resistant. It is not suitable for camping where there are wet surfaces like grass and slight mud. They state that, even their product is not water resistant, it dries out very quickly and that this product is easily washable. Though this product doesn’t reach maximum levels of durability, it shows right period of efficiency when used properly. Therefore, it is clear that this product can actually do its best when it comes to durability. Versatility: The significance of any product depends mainly upon its versatility. Customers, now-a-days, want something that gives the best bang for their buck. The Oliver James ﻿Pocket Blanket provides exactly that as it can be used for many purposes. It can be used as a blanket which helps you to prevent from breeze in windy days, used as a table cloth, and even as a pullover blanket in certain circumstances. The company states that this product can be used for 2 to 4 people to sit, relax and prepare food. It can be used as a table mat while eating. And can also be used as a tent or tarp which helps you to prevent from sunshade. Customer reviews are overwhelmingly positive for this multipurpose blanket, and we find no reason not to recommend you. Amazon.com has sold this product quite well, and it has earned a rating of over 4.5/5 stars for a good reason. Even though the number of reviews is relatively low, they are nonetheless positive. This pocket blanket might be overkill for the frequent solo traveler but is perfect for families who like to live, love, and travel together. If you’re a family person, don’t think twice before buying this product. The Oliver James Beach Blanket / Pocket Blanket is a product that is very much beneficial for people who travel more. This product comes with corner pockets and quality stakes. It is easy to hang them. 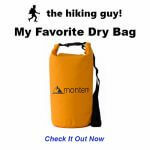 The company states that this product provides ultimate camping and hiking experience more than any product. So, looking at the easy handling, benefits, and reviews of customers about this product, I would highly recommend this product to anyone. You can get this product now on Amazon.com and have it delivered directly to your doorstep. Can you imagine an easier way to buy travel gear than this?